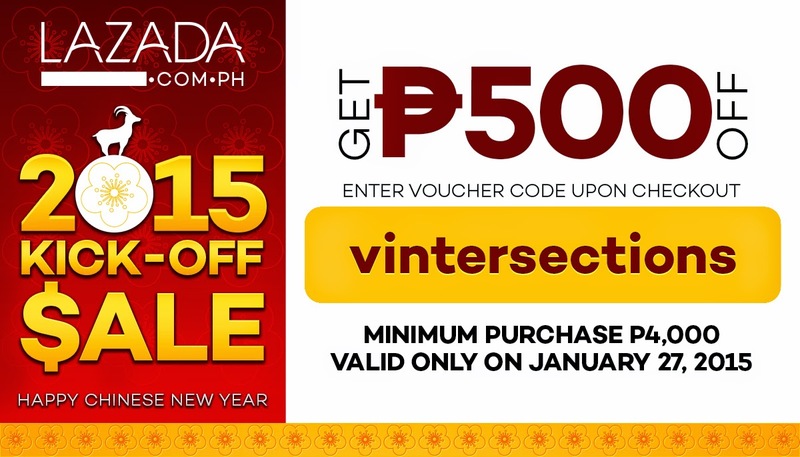 The Intersections & Beyond: Lazada's One-Day Sale up to 88% discount on January 27, 2015 only! Lazada's One-Day Sale up to 88% discount on January 27, 2015 only! 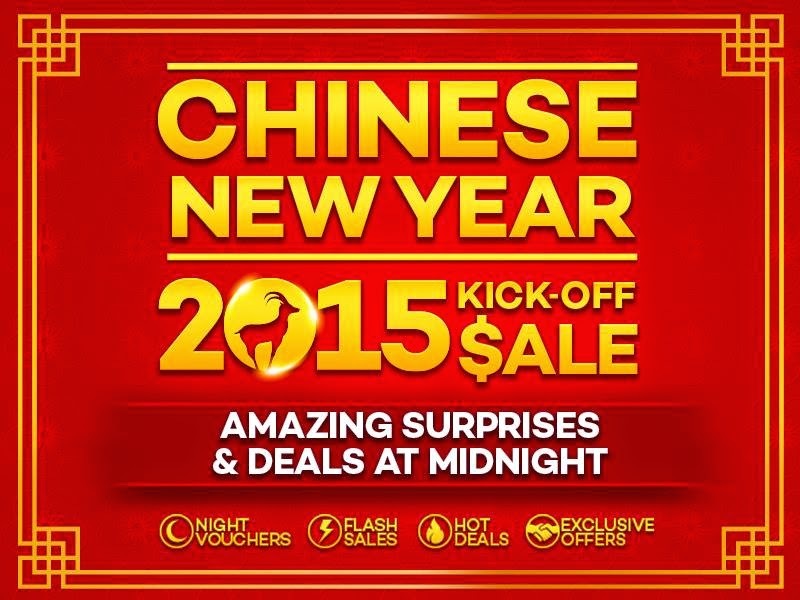 Welcome the Chinese New Year 2015 with the Lazada Kick-Off Sale happening online on January 27, 2015 (Tuesday) only. Get a P500 OFF by entering the voucher code: vintersections upon checkout. With jaw-dropping deals of as much as 88% off on select best-selling items, flash sales, and surprise items, keep your eyes peeled on www.lazada.com.ph/chinese-new-year/ starting 12:01 AM of January 27 and will end on 11:59 PM of the same day. vintersections upon checkout to get P500 OFF. What makes it different from the other Lazada sale, here are some guidelines. 1. For the shopaholic nightowls, Lazada will be holding Night Sales Promotion from 12:00 AM – 8:00 AM of January 27, with many night vouchers up for grabs to give you the best additional discounts on top of discounted best selling items. 2. For those who seek adventure and shopping thrill, there will be 16 Hourly Flash Sales from 8:00 AM until 11:59 PM. 3. For the competitive shoppers, there will be hourly contests and special prizes on Lazada website and on the Lazada Facebook Page. 4. For the Deal Hunters to get more out of their hard-earned bucks, Lazada.com.ph will be unveiling killer deals on best-selling tech and lifestyle items with discounts of as much as 88%! 5. For those who seek shopping discounts, exclusive discount vouchers can be availed from our partners such as Smart Bro, Citibank, BPI, BDO and Maybank. So spread the word and take advantage of this year’s opening sale from the Philippines’ Biggest Online Shopping Mall.